This is a huge problem in the RE industry Stop Bragging and Start Helping Others & SELF PROMOTE! By now I know that you get that you need to show up differently in your business and that you need to market yourself as if your life depended upon it right, because it does. Don’t try to do everything all at once that you’re learning. It will drive you crazy! Just keep a list of ideas you’re getting over these 31 days, prioritize them and implement them over the next several months It is imperative that you’re as consistent as possible with these strategies and new way of thinking. O.K. so let’s get into it. You understand how important it is to be a Promoter and a marketer of yourself. But, Here’s a major problem that I see with agents, Most of them are Self-Promoting entirely the wrong way They are doing it by saying “Hey, look at me” I’m Number One”, “I’m an Expert”, “I sell the most houses in the Area”, “I’m a Badass, ”I’m so great, that you need to work with me,’” ….whatever it may be.” Guess what……….. NO ONE cares about how great you are, no one cares that you’re number. You want to know what they do care about, do you want to know what the people you are trying to research about? They care about themselves. They care about What it is that you can do for them. And there’s nothing wrong with that, quite frankly it’s human nature, it’s normal. Think about it why are you watching this video right now? Why are you here? You’re here because you’ need help, you are looking for answers, you see there is a better way of doing things and you need a nudge, you need help. You’re not just on here for and thrills and giggle of it. You’re watching this because you’re are wanting to get something out of it, right? Of course that’s why. And that’s normal And that is what your consumer wants. Your consumer wants to know what it is that you can do for them, how can you help them, what’s in it for them? Think about it, Something I did, stood out from the thousands of others! That’s what your job is, your job is to market yourself by giving as much VALUE and adding as much as you can in your community. It’s Not by boasting or bragging about yourself. Do it be giving as much as you can to your community. Make sense? Everything that people do, they do it for a reason. Why do you go to work?……….You need to make money! Why do you work out? Because you want to look good and have more energy! Are you getting my point? 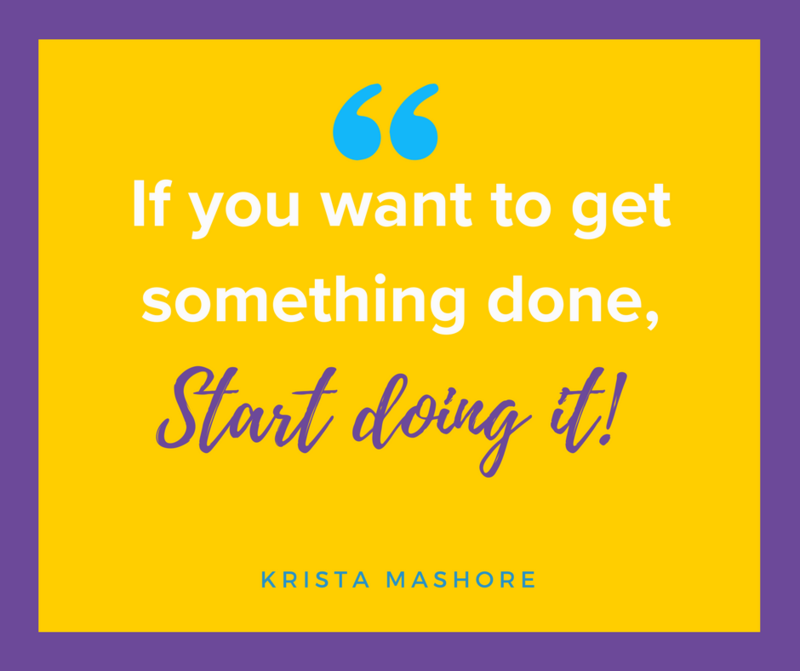 If you want to fast track your business and learn to use the strategies and techniques that I’m teaching you about and do it on steroids, be sure to look at the programs that I offer, www.KristaMashore.com! I’d like to encourage you to follow us on Facebook, Instagram and Twitter.